Ok, as most of you can probably gather from all the words and pictures on this site, I am a huge fan of vintage and how gentlemen dressed in those historical photographs that I am so fond of looking at. So, while at the Alameda Point Antiques Faire this past Sunday, spotting Andrew Seidman amongst the aisles was quite a delightful sight. This guy gets it! Basically looking at him is like looking at Paul Newman in The Long, Hot Summer. If you haven’t seen this movie, I highly recommend that you do. So much great men’s style! A self-proclaimed non-seeker of the spotlight, I asked Andrew what his fashion inspiration was. He answered with, “Grandpas…grandpa grief”. 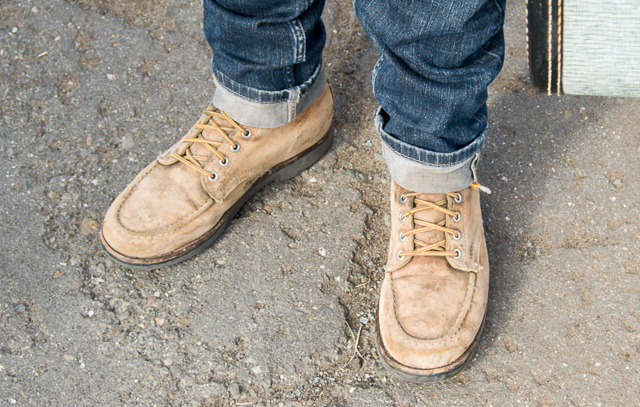 He stated his love for fashion and products from a bygone era. I’m going to try to get this right because he described it so eloquently, he said something to the effect that vintage items make him,” more connected to something that doesn’t exist anymore.” He feels a closer connection to older people. Andrew, I apologize if I mixed that up at all but as I listened, I related. The “olden days” (for lack of a better term) look so beautiful to our modern eye. People wore bow ties and waist coats to go hiking. It was a very classy time for fashion and style. I admire it and Andrew pays homage to that. The irony is, although he doesn’t seek attention and seems very humble, the fact that he follows the fashion rules of the stylish past, is what made me notice him. 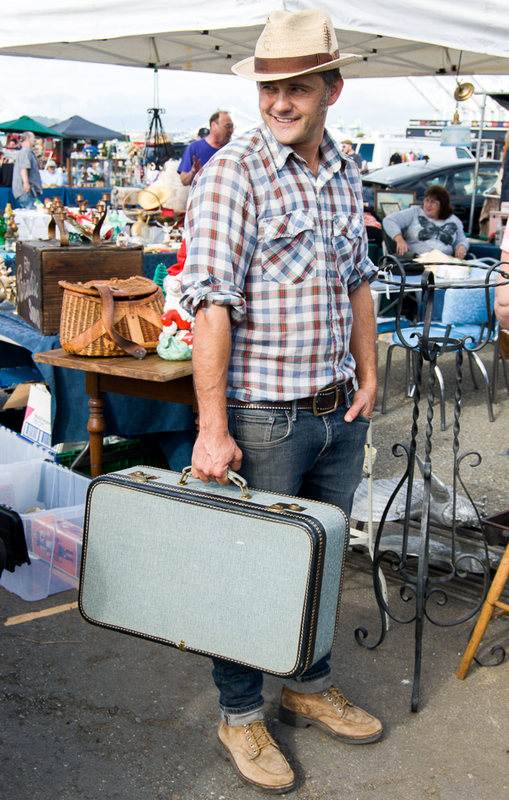 On this fine Sunday, Andrew picked up that vintage suitcase at the faire. He typically shops at garage sales(where he finds bowties) and fleamarkets. He buys his hats at specialty hat shops and that feather in his brim is a rooster feather he found. He definitely has an eye for detail and knows how to put an outfit together. Thank you, Andrew for carrying on the gentleman style that slowly fades from view in these modern times.